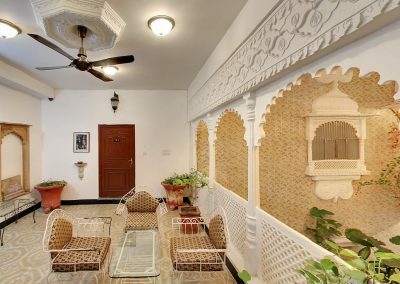 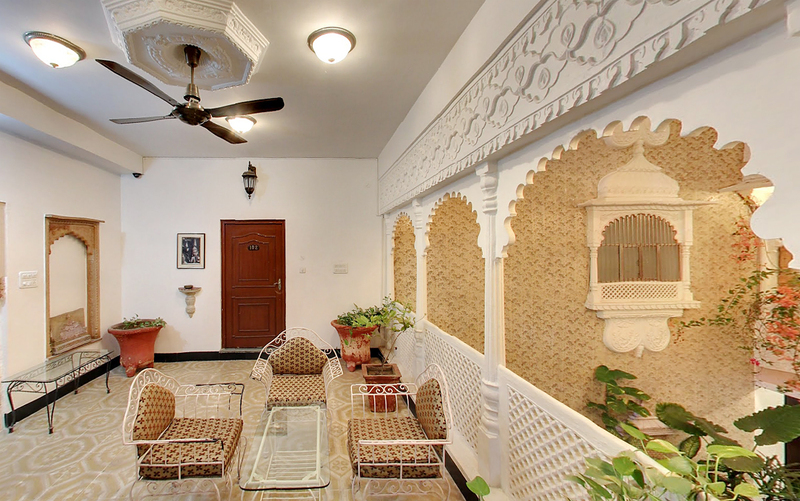 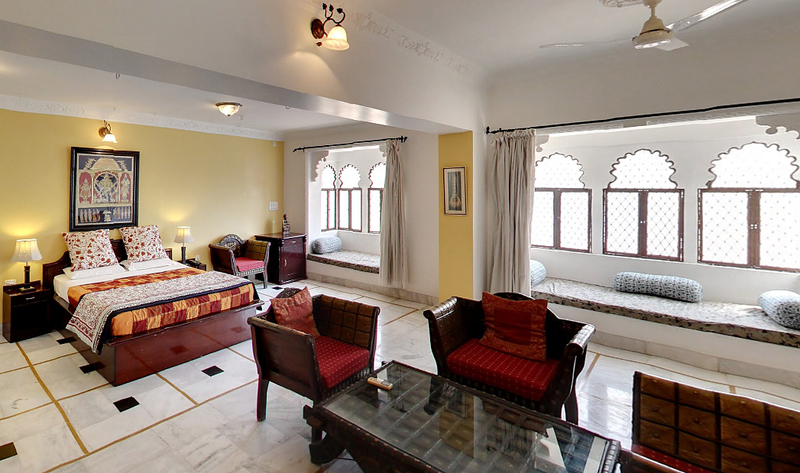 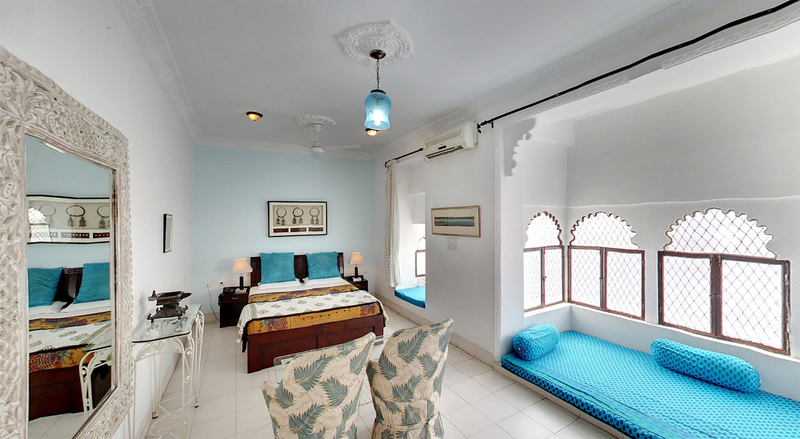 Hotel Bundi Haveli has beautifully appointed guestrooms. 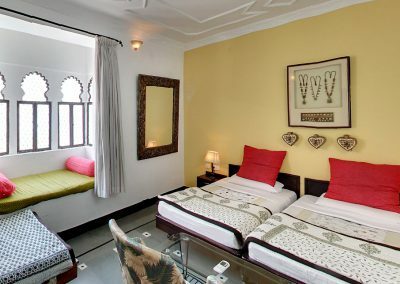 All the rooms are hygienic, neat & clean, well furnished and air conditioned. 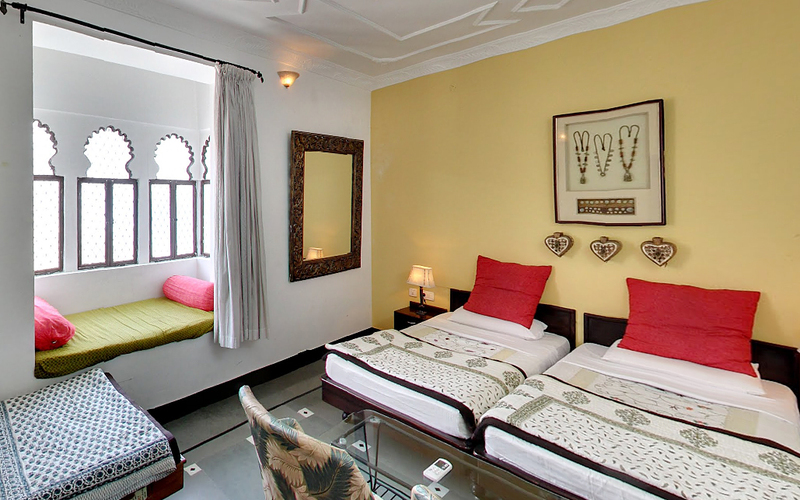 The hotel offers 12 rooms from standard to deluxe, all rooms have attached bathrooms with modern fixtures. 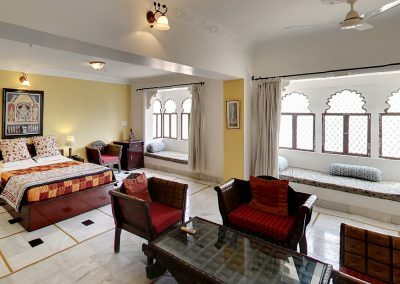 Rooms feature window seats (jharokhas) offering stunning views of the old town, palace, fort and lake. 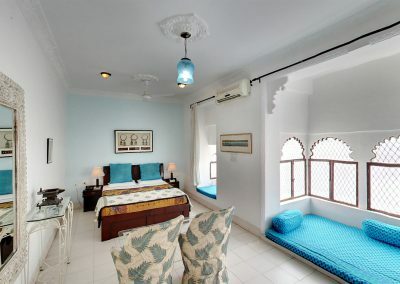 + Attached bathroom with hot and cold water running.